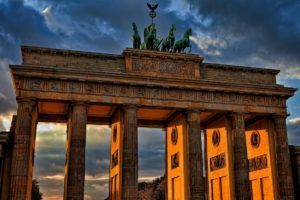 Months after the initial process was derailed by lawsuits, the German Federal Institute for Drugs and Medical Devices (BfArM) reissued the country’s first tender bid to cultivate and process medical cannabis domestically. The first bid process launched in April 2017 after the German government changed the law to mandate public health insurance reimbursement of medical cannabis via prescription. The decision on the finalists was supposed to happen last fall. What should investors and the industry expect if the finalists decide to respond to the request for proposal by the Nov. 5 deadline? “Making sure you’ve filed all the necessary documents correctly is a meticulous chore,” said Deepak Anand of Cannabis Compliance, a Canadian firm involved in consulting on both the initial bid process and the current one. Some supporting documents will be accepted in English, including technical data sheets and certificates of operating procedures, but most of the application must be submitted in German. Like the first time, the bid is being managed online. Interested parties must go to the official website to register and apply. Applicants must once again prove the viability of their business operations through proof of economic and business activity for the past three financial years. Firms must also prove that they – or their strategic partners – have a track record of producing and exporting at least 50 kilograms of qualified product for the medical market since Jan. 1, 2015. Selected firms – the total number of which has been increased from 10 to 13 – will also have the option to increase the amount they are awarded by up to 30%, based on demand, over the term of the four-year contract. “It has very high barriers to entry, which will limit it to established cannabis producers with experience and plenty of EU financial resources to deliver,” said Dallas McMillan, president and director of strategic growth of Seattle-based Rhizo Sciences. McMillan’s company has developed a global platform for medical cannabis products. Will insurance companies step up? The new bid process also includes several financial barriers, including a requirement to carry public liability insurance – essentially a bond of 5 million euros ($5.8 million). But it’s not just the price tag that raises questions. The industry is waiting to see which insurance companies will be willing to guarantee this new form of business. Lloyd’s of London recently announced that it would step back into the breach after it ceased offering insurance in 2015, but that means this option will also not be cheap. For this reason, some applicants have decided to sit out the initial bid round. “The bid this time is clearly attractive to the larger (licensed producers) because it will increase their overall value by having a license, but at this time we do not see the value for us,” said Liam McGreevy, founder of U.K.-based Elite Healthcare Distribution. His 2-year-old company specializes in European pharmaceutical distribution, with a specialty in medical cannabis. One of the biggest differences this time is that firms can apply on their own or as a group of firms in a “consortium” with specific individual qualifications that add up to meet the overall requirements. “Applicants are not required to team up with cannabis expert producers but can work with herbal producers,” said Peter Homberg, a partner at Dentons law firm in Frankfurt and a consultant for the growing industry. The consortium language “has been loosened this time – and further, as a direct outcome of the lawsuit,” Homberg said. The new structure could open the door for “creative partnerships” globally. What those are – and who the firms are – remains to be seen. The entire application process is secret, and firms are not supposed to reveal if they have applied or where they stand in the selection process. Applicants, either individual firms or consortium teams applying as one entity, can apply for all lots, but they can be awarded a maximum of five. Applicants will be evaluated using point-based award criteria that fall into two broad categories. Price: Firms can receive a total of 40 points, with the highest score going to offers with the lowest price per gram (in euros). If two otherwise equal proposals are made by firms that offer the same low price, the final decision between them will be made by drawing lots. BfArM has set a “reference price” of 7 euros per gram as a benchmark, for how those points will be assigned. Expectations from analysts are that prices will be in the 2.50-3.50-euro-per-gram range as a result. Applicants who submit prices more than twice the lowest authentic price per gram received from other firms will receive zero points. Infrastructure and security: Applicants can receive up to an additional 60 points on the basis of physical infrastructure, security and their ability to produce high-grade, GMP-certified product. Quality of a firm’s equipment (5 points). Establishment of good cultivation and manufacturing practice to GACP standards (5 points). Realistic plans and measures to control cultivation purity, such as avoidance of pests and crop failures (15 points). Production and storage cycles (15 points). Staff training on the handling of narcotic drugs (10 points). Some of these categories carry extra “weight” in the scoring system.